Hallam has dedicated her career to fighting for the education rights of the most vulnerable students. Prior to joining Kershenbaum & Raffaele, Hallam worked at the Education Law Center, where she provided individual representation and worked on legislative and policy initiatives to improve access to education for students in foster care and co-chaired the Philadelphia Coalition of Special Education Advocates. She then went on to work with the Law Office of Benjamin J. Hinerfeld, a Philadelphia-based special education law firm where she continued to represent families and at-risk students, including students with a history of homelessness or involvement in the foster care system. Hallam passionately believes that informed parental involvement is the key to a child’s success in school. And, for students who are not in traditional families or are involved in the foster care system, Hallam has worked very hard at the local and state levels to increase awareness of the rights of all students to have someone in place to act as their legally-authorized education decision maker. Hallam has advocated at the local, state, and national level to improve education policies for at-risk students. 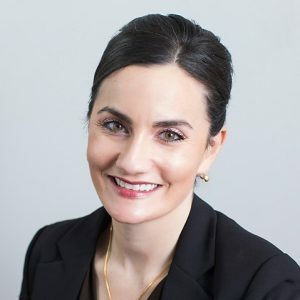 She has provided dozens of trainings on education rights to parents, attorneys and other advocates, including judges, school district personnel, city solicitors, foster parents, Court Appointed Special Advocates (CASA) associations, nurses, doctors, public defenders, and social workers. She has also developed and presented several continuing legal education courses on education law. Hallam is on the board of the Arc of Pennsylvania, participates in the Instruction Committee for the Overbrook School for the Blind, and is a member of the Exceptional Children Committee of the Pennsylvania Bar Association. Hallam lives with her husband, Justin, a doctoral student in school psychology, and their two sons in Conshohocken, PA.